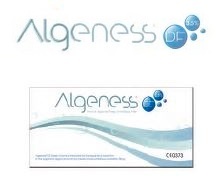 Algeness® is an all natural soft tissue filler consisting of an agarose (polysaccharide) gel. 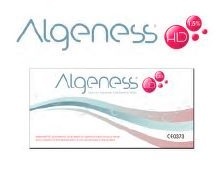 Algeness® lasts longer than the leading Hyaluronic Acid (HA) and Calcium Hydroxylopatite Dermal Fillers as demonstrated by comparative tests. dental and maxillofacial field. Now it is being introduced to the general aesthetic market. With no natural enzymes in the body to metabolize Algeness®, the Agarose biomaterial offers excellent persistence, while it is slowly absorbed by the body through the action of macrophages, and is finally eliminated in the pentose cycle via the endothelial reticulum. 100% Biodegradable natural dermal filler: for long lasting aesthetic corrections up to 12 months. 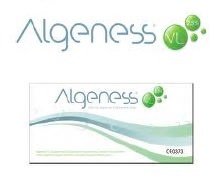 you get” Algeness® does not contain crossed–‐linked HA that relies on a hydrophilic process to achieve the necessary and appropriate volumizing which can take 2–‐4 weeks for the full effects. Natural: Algeness® is composed of an Agarose gel or sugar, natural to the human body. It does not contain the cross–‐linked synthetic chemical, BBDE, associated with Hyaluronic acid (HA) fillers. Longevity: In clinical and animal studies Algeness® has been show to offer persistence or long lasting effects equal to or better than the major HA dermal fillers. Liquidity: Unique physical properties of viscosity and plasticity. Patient Tolerability: Algeness® offers excellent tolerability and biocompatibility, is safe, natural and has a negligible immunological reaction. Less irritation & inflammation: Does not induce allergic or foreign body reactions. Less Pain: Post injection pain is minimal to non–‐existent. Less Expensive: Designed for the cost conscious patient, Algeness® offers 40% more filler than most other HA fillers, and is competitively priced allowing physicians to increase their profit margins while using the most advanced biomaterial available today.